Click here for the Malay version of this news. 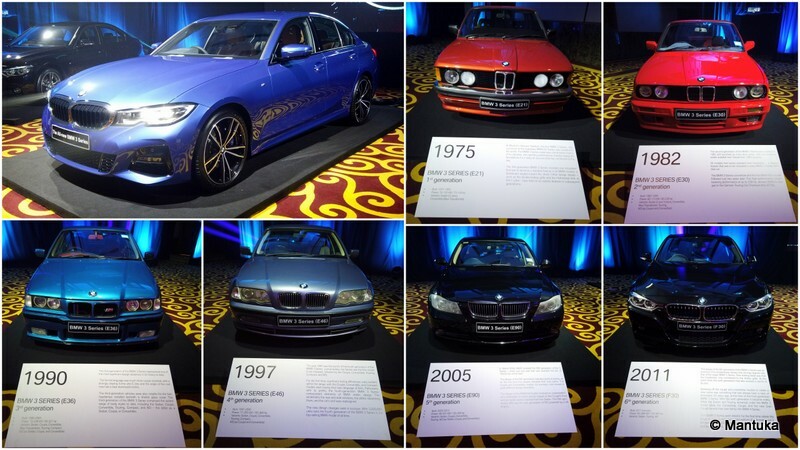 BMW Asia and QAF Auto Sdn Bhd successfully launched the seventh generation All-new BMW 3 Series sports sedan last Friday at the Indera Samudra Grand Hall, The Empire Hotel and Country Club, Jerudong. The car symbolizes the concept of a sporty driving pleasure in the global premium midsize class for more than 40 years. The model radiates dynamic design, agile handling, exceptional efficiency and innovative equipment features, it takes the signature characteristics of a BMW and turns the volume up several notches. The launch was was officiated by the German Ambassador to Brunei Darussalam, His Excellency Peter Hermann Wolff. Also present as special guest were Yang Amat Mulia Pengiran Muda Abdul Muqtadir, Yang Amat Mulia Tengku Amalin A'Ishah Putri, Yang Amat Mulia Pengiran Anak Haji Abdul Wadood Bolkiah and Pengiran Wajeeh Al-Bolkiah. Also present were Brunei's QAF Chief Executive Officer Albert Lau and BMW Group Asia Managing Director Christopher Wehner. Mr. Christopher Wehner also presented a briefing on the history of the BMW 3 Series at the event. Meanwhile, General Manager of QAF Auto Sdn Bhd, Sivakumar Krishnan during the ceremony said "We started this year with the launch of the all-new BMW X5 in January and we are excited to launch the new BMW 3 Series Sport tonight." "This year, we will also introduce more new models like the latest BMW 8 Series and the first BMW X7. The BMW 8 series was first introduced almost 30 years ago in 1990 and powered by V8 gasoline engine," he explained. Dynamic design, agile control, efficient and equipped with innovative tools are well-known features of BMW that is now ranked highly. The sedan model represents not only the entire BMW 3 Series lineup of which over 15 million units have been sold worldwide but also as the heart of the BMW brand. This dynamic, premium and innovative sports sedan model is produced in Munich, Germany since the first 3 Series was introduced in 1975. The interior of the All-New BMW 3 Series accentuates the spaciousness of the cabin and, together with the cockpit’s focus on the driver, enhances their concentration on the road. The new screen grouping of Control Display and instrument cluster, the tall centre console and the coordinated design of the light, modern instrument panel and door panel trim creates an all-round feeing of space and a sporting aura. This more masculine model comes with a 2-liter, 4-cylinder BMW TwinPower Turbo System engine capable of producing 258 horsepower strengths between 5,000 and 6,500 rpm. Additionally, it's 55 kilograms lighter than the previous model.